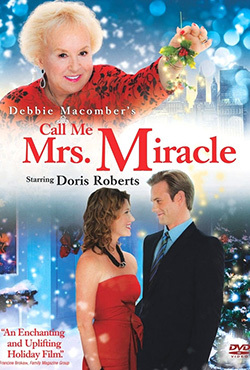 About the Movie: Debbie Macomber's Call Me Mrs. Miracle No one celebrates the holidays like Emily Merkle - or Mrs. Miracle as she is known by some - who is back to ensure that this Christmas is the most magical and meaningful of all. When Mrs. Miracle appears as a seasonal employee in the toy department at the financially troubled Finley's Department Store, neither the store's owners, nor the customers, have any idea of the events that are about to unfold. Just when it seemed Christmas might not come at all this year, Finley's favorite employee proves they don't call her Mrs. Miracle for nothing! Also starring Jewel Staite, Eric Johnson and Lauren Holly.